Uptick seen in fatal overdoses involving illicit fentanyl, says UW author of annual drug trends report. A table full of fentanyl and other designer drugs seized by U.S. agents in November 2017 at a mail facility in Chicago. KING COUNTY, WA—Drug and alcohol use caused the deaths of 379 King County residents in 2017, an increase from 348 in 2016, according to two new reports published today by Public Health – Seattle & King County and the University of Washington’s Alcohol and Drug Abuse Institute. Data from the 2017 Overdose Death Report describes drug and alcohol-caused deaths over the past decade investigated by the King County Medical Examiner’s Office. The report found that in 2017, heroin and opioids, including fentanyl, continue to be the most common drugs associated with fatal overdoses (69 percent) while the rate of deaths involving methamphetamine continue to increase sharply. There is continued concern about the growing impact of illicit fentanyl. Fentanyl was involved in 33 fatal overdoses in 2017, up from 23 in 2016. There have been 17 confirmed fentanyl-related deaths in the first quarter of 2018. Overdose disproportionately affects young people, men and people experiencing homelessness. Half of all overdose deaths in 2017 were less than 46 years old and 17 percent were among persons experiencing homelessness. The estimated rate of drug- and alcohol-caused deaths was 30 percent higher among blacks and five and a half times greater among American Indian/Alaskan Native populations. The 2017 Drug Trends Report, also published today, provides context for understanding the lives of drug users. For example, among those surveyed at the syringe exchange last year, 69 percent were homeless or impermanently housed and 42 percent had been incarcerated in the prior year. King County, along with partners have taken steps to implement the recommendations presented by the Heroin and Prescription Opiate Addiction Taskforce to confront the epidemic. We distributed over 8,000 naloxone kits to law enforcement, housing and treatment providers, people with opiate-use disorder and their families. 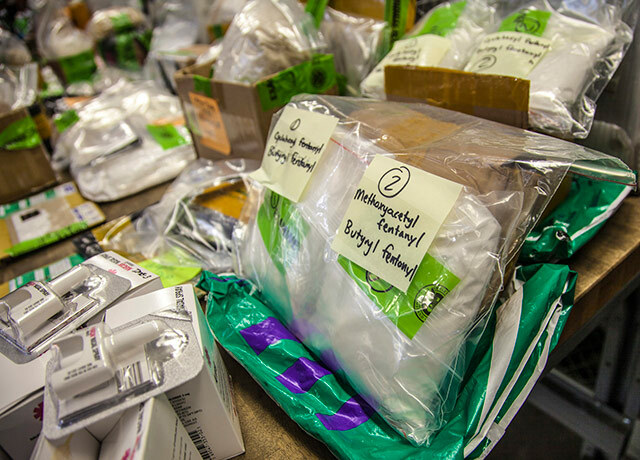 With those distributions, 2,297 overdoses were reported successfully reversed. If you got heroin from someone new, or if it looks different, use less. Don’t use heroin in combination with other “downers” such as benzodiazepines ("benzos"), alcohol or prescription-type opiates such as OxyContin or methadone. Using with stimulants such as cocaine or methamphetamine is also dangerous. If someone is overdosing call 911. If you are trying to help in an overdose, the Washington state Good Samaritan law protects you and the overdose victim from drug-possession charges. “The opioid epidemic in King County continues to increase, with no end in sight,” said Dr. Jeff Duchin, Health Officer for Public Health – Seattle & King County. “We know that most people with opioid use disorder want help to reduce their use, and we are increasing treatment access throughout the County. But the epidemic is outpacing our efforts, both locally and nationally." “Even as we make progress, including the expansion of evidence-based medication assisted treatment and distributing naloxone into the community, we must also redouble our efforts to prevent drug use and overdose,” said Brad Finegood, chief health integration strategist, Behavioral Health and Recovery Division and co-chair, Heroin and Opiate Addiction Task Force.